This highly regarded annual publication provides the kind of information on publicly issued bonds to help round financial decision making in fast-changing times. 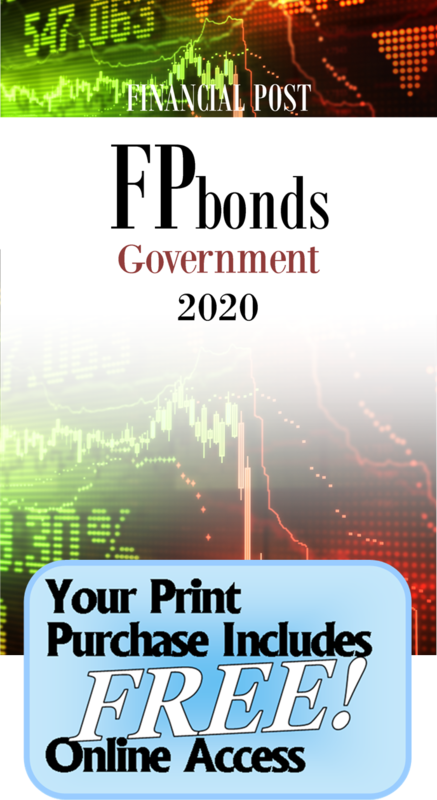 The 2018 edition of FP Bonds – Government, the third to be published by Grey House Publishing Canada, lists outstanding publicly and privately held debt securities, together with their features and provisions, issued by the Government of Canada, the provinces and selected federal and provincial agencies. All issues and amounts are outstanding as of Mar. 31, 2018, unless otherwise indicated. Lists containing features and provisions of all of bonds issued by the Government of Canada, by provincial governments and selected federal and provincial agencies. Each bond description also includes its rating. Ratings supplied by Dominion Bond Rating Service (DBRS) as of March 31, 2018. A separate section on Eurobonds (Euro debt). Important economic data on Canada and the provinces. Important notes on Canadian taxation particularly as it effects bonds. 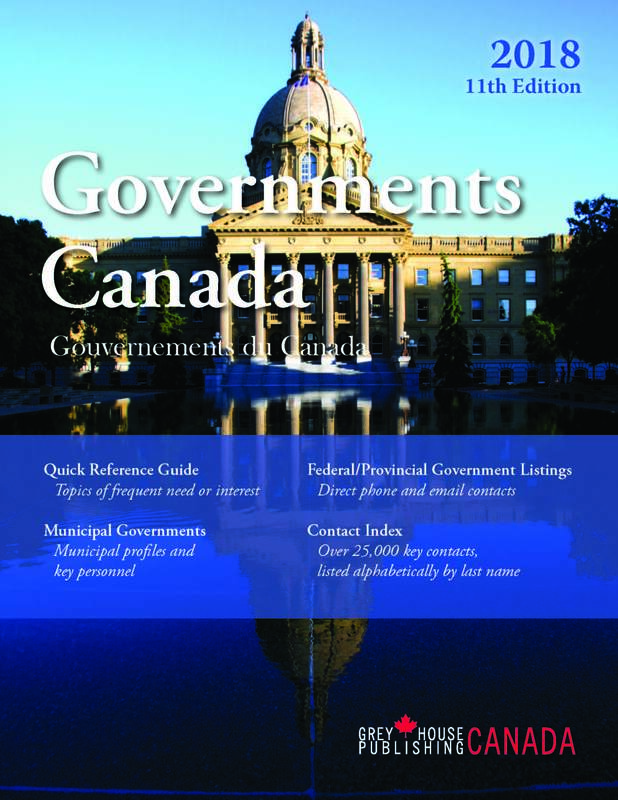 Newly added front matter for this edition includes an excerpt from the Bank of Canada Review analyzing the life cycle of federal government bonds in key markets, and a Bank release discussing recent trends in Government of Canada fixed-income market liquidity. Financial Services Canada is also available as a searchable online database. Monthly updates allow you to access the most current data and focus your research with broad or specific search queries. Search our 38,000+ executives and instantly download lists for mailing or further research. This is an indispensable tool for all your marketing or research needs!